Welcome to the best croquetas in Madrid. And welcome to Native Spanish Tapas where we take you where real locals go for the best tapas in Madrid. And one of these is the croqueta, that’s right! We are going to show where to indulge on the best croquetas in Madrid. 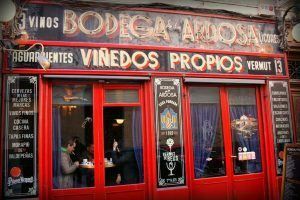 Today we are going to talk about the top three Croqueta bars that we recommend in Madrid. 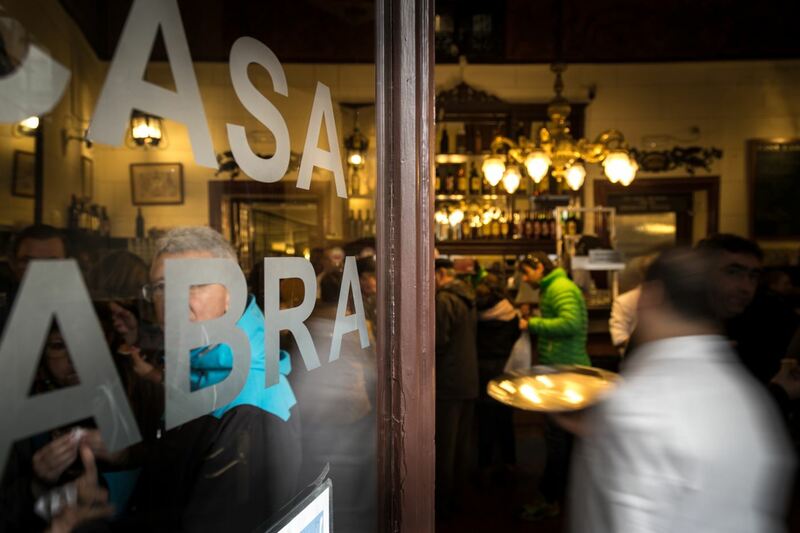 Before we begin to explain the best croquetas in Madrid. 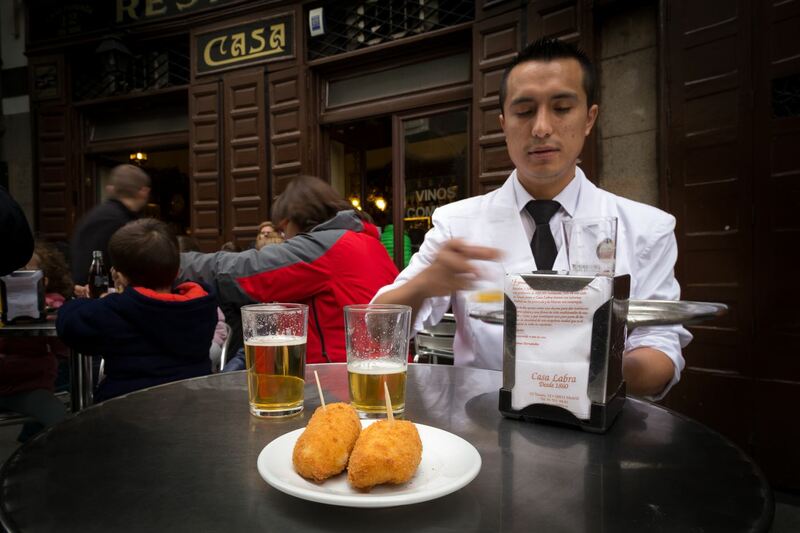 Let’s talk about what a croqueta is how we decide what the best croquetas in Madrid are. Croquetas were imported to Spain by France in the 17th century. It is basically a ball of béchamel with a variety of ingredients inside such as jamon, meat, fish, egg etc… After that the croqueta is then bathed in bread crumb and fried in very hot virgin olive oil. The virgin olive oil is key for a great tasting croqueta, the best croquetas in Madrid no doubt use virgin olive oil. It would not be the same. Below is Native Spanish Tapas’ top three croqueta restaurants in Madrid, in fact our Madrid tapas tour stops at one of them, we aren’t going to tell you which one, because to be honest all three corqueta restaurants offer the best croquetas in Madrid, it is hard to make a top three list, to be honest it should be a tie. 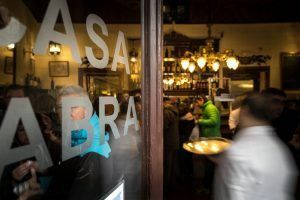 La Ardosa, c/ Colón, 13 In the heart of Madrid this picturesque tavern has been making some of the best croquetas in Madrid since 1892. We recommend the croquetas with Spanish blue-cheese and also the traditional jamon ones. Casa Labra, c/ Tetúan, 12. 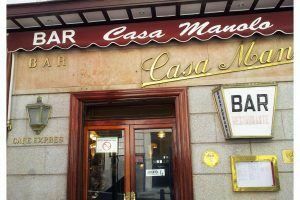 A one minute walk from Madrid’s emblematic Puerta del Sol. This amazing tavern makes extraordinary cod-fish croquetas. It has been in business since 1865. We highly recommend. Casa Manolo, c/ Jovellanos, 7 . Near the Spanish house of Congress also in the heart of Madrid, this place is frequented by politicians and journalists. Their specialty is the king-size jamon croqueta, amazing. 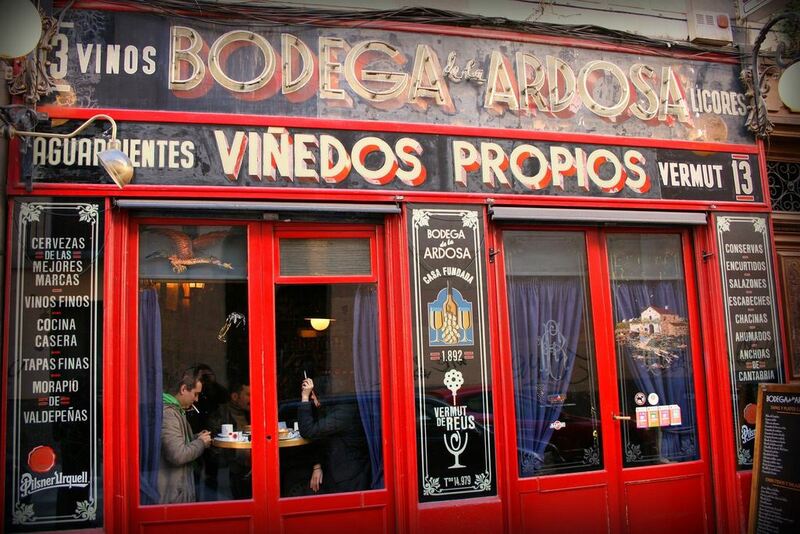 Our mission is very simple: to spread the love of tapas in Madrid through our real local Madrid tapas tours. 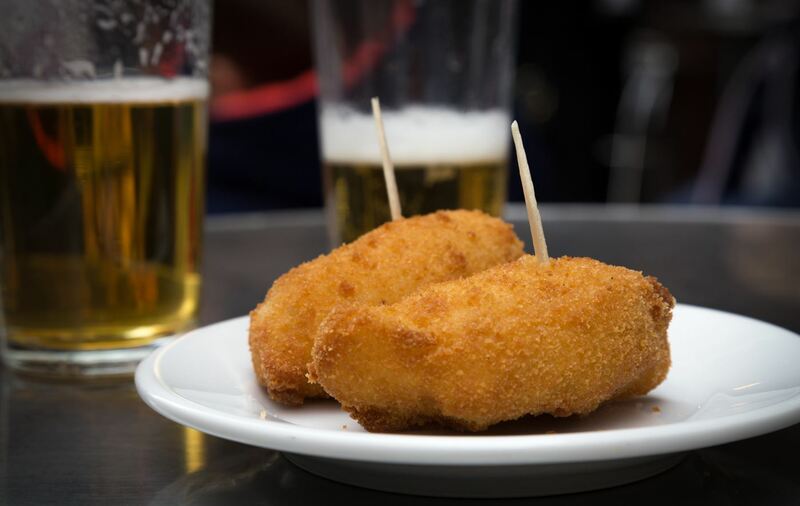 Join us in one of our many Madrid tapas tours and indulge on some of the best croquetas in Madrid.